Belle Ross Spa represents renewal, rejuvenation, and indulgence. With forward-thinking ideas about health, beauty, and wellbeing, Belle Ross offer clients therapeutic treatments for the body, face, hands, and feet. From aromatic body wraps to mineral make-up applications, our menu of services includes the latest techniques and technology. 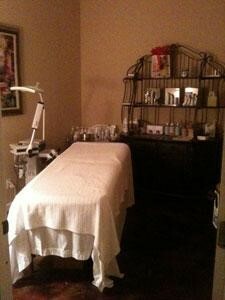 Like our salon, the spa atmosphere is relaxed and casual, yet always professional. We believe in creating authentic, enjoyable experiences designed to enhance your mood and help you relax. Whether it’s a first-time massage or a regularly-scheduled manicure, our team dedicates their time and talent to meet clients needs—and always expectations. If you are scheduling an appointment for a facial or a massage please click HERE to download the appropriate forms to bring to your appointment. Spa Services require a credit card when booking your appointment. We request the courtesy of a 24-hour cancellation notice for all spa services. Cancellations of less than 24-hours or no-shows will be charged. Contact us today to ask questions about our spa services or to make an appointment!